The Eleventh Battle of the Isonzo has seen the Italians make unexpected gains near Gorizia on the Bainsizza plateau. Rather than leave his men to be annihilated, Austria-Hungary’s Boroevic has withdrawn them to more readily defensible positions on the edge of the plateau. The withdrawal appears to work. When the Italians reach the plateau’s edge they are unable to make further gains against the Austro-Hungarians. Unfortunately for them, the Italian reserves are concentrated further to the south and cannot be deployed to the plateau quickly enough, leaving the exhausted troops who made the first attacks unable to bludgeon through on their own. With the Italian assault running out steam, it begins to look like it will not after all be eleventh time luck for Italy’s Cadorna. Cadorna can at least console himself with the suppression of anti-war rioting in Turin. The army has restored order there, killing dozens and injuring hundreds. Kerensky appointed Kornilov to command the Russian army in the hope that this tough general would be able to restore order in the armed forces. The Russian prime minister may however have got more than he bargained for. Kornilov has become very popular in reactionary circles, with such people seeing him as the man to bring an end to the revolutionary chaos that has engulfed Russia. Kornilov has taken to demanding more powers from Kerensky, implying that he will move unilaterally if he does not get his way. In Moscow the State Conference is meeting, a consultative body representing broad swathes of Russian opinion. When Kornilov arrives in Moscow to address the conference he was greeted by ecstatic crowds of conservatives. Kerensky fears that Kornilov’s speech will be inflammatory and divisive, but fortunately the general is no great public speaker. Socialist and leftist delegates receive his speech in silence but the Kadets and other conservatives nevertheless respond enthusiastically. Despite Kornilov’s dull words, the general is theirs: the man on horseback who will save Russia. Today Kerensky delivers the closing speech of the conference. His rhetorical powers appear to desert him: he delivers a rambling and incomprehensible speech that ends with him fainting into his chair mid-sentence. Kerensky appears now as a figure of increasing irrelevance. People on the right are rallying around Kornilov while those on the left are wondering how to stop him. French troops have been attacking at Verdun, looking to recover ground seized by the Germans in the terrible battle last year. The fighting has been tough and the gains modest, but the French have recaptured Mort Homme and Côte 304, both scenes of carnage in 1916. In the fighting since the 20th, the French have captured a large number of German prisoners (some reports say around 10,000) but have also suffered a great number of casualties themselves. However the willingness of the French troops to endure these losses suggests that Pétain‘s efforts to revitalise the French army after this year’s mutinies are paying off. A British tank, nicknamed Fray Bentos by its crew, has been stuck in a shell-hole since a failed attack on German lines near Ypres on the 22nd. The tanks has come under repeated attacks by the Germans, but the stranded crew have been able to repel them. They have also used their guns to disrupt disrupt counter-attacks on their British comrades. 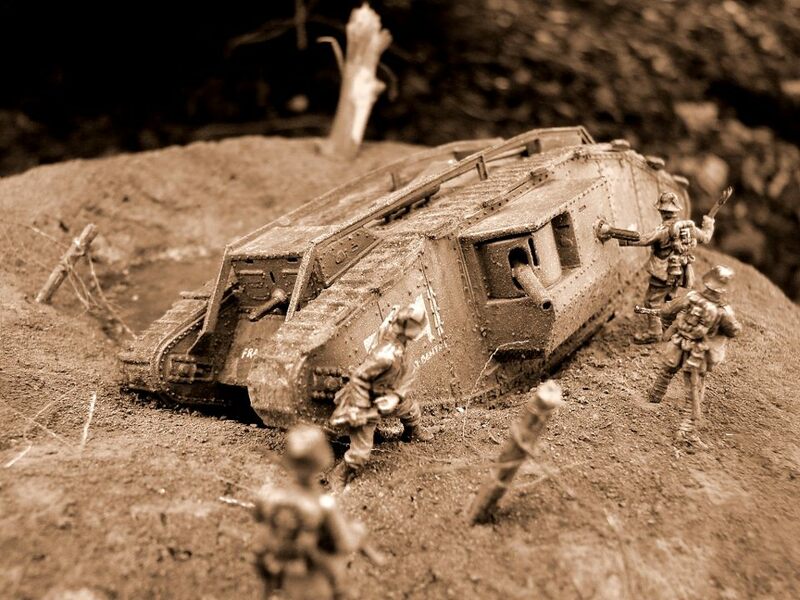 Nevertheless, conditions in the tank become increasingly desperate. Daytime temperatures within Fray Bentos rise to over 30 degrees and the men have exhausted their drinking water; they are now making do with water from the tank’s radiator. Two of the crew have been killed by the Germans and several of the rest are injured. Captain Richardson, the tank’s commander, decides that his men have done enough. In the small hours of this morning they abandon their vehicle and slip back unmolested to the British lines, where they are feted for their bravery under enemy fire. 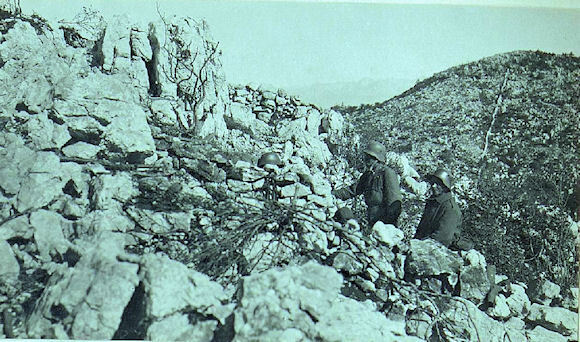 Italian attacks have made little progress in their attacks on the Carso plateau, on the southern end of the Isonzo line. Now the Italians scale back their efforts here to concentrate on the Bainsizza plateau to the north, where the they have made considerable gains. This however allows the Austro-Hungarians to begin transferring men from the Carso to aid their hard-pressed comrades to the north. 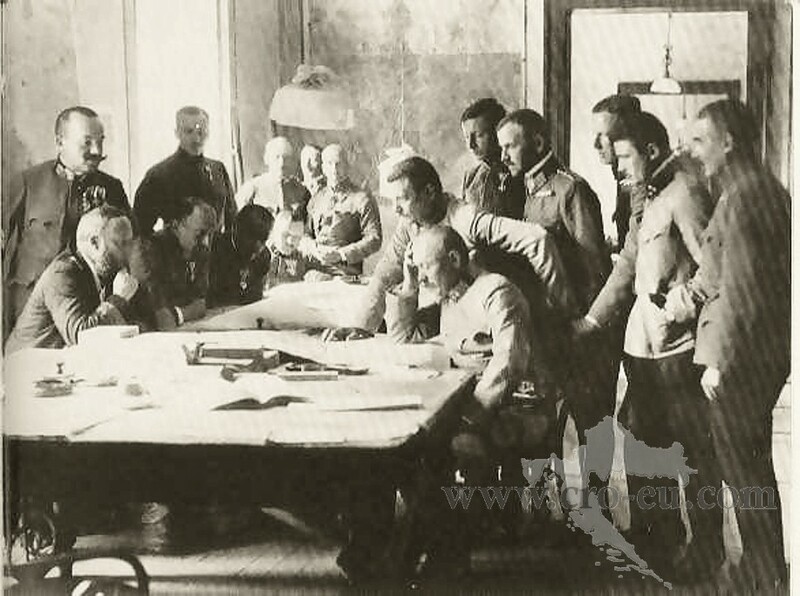 Following a conference between Boroevic, their commander, and Emperor Karl, Austro-Hungarian troops on the Bainsizza today withdraw to the eastern edge of the plateau. Fearing annihilation if they remain in place, the Austro-Hungarians hope that they will be able to contain the Italians from their new lines. The Italians are used to the Austro-Hungarians holding positions to the last man. The Austro-Hungarian withdrawal happens before dawn, in silence and great secrecy. Failing to realise what is happening, the Italians then shell the now empty Austro-Hungarian positions. Mud and the resistance of the enemy are frustrating British efforts at Ypres, but Haig still hopes that a determined effort will allow his men to smash through the German lines. More attacks are launched today, this time along the now devastated road that runs from Ypres to Menin. The attack founders in the Flanders quagmire. Small gains are made but some 3,000 men are lost. The attack’s failure happens despite the deployment of tanks to support the infantry. The muddy ground is unsuitable for heavy armoured vehicles. In one incident 7 of 8 tanks advancing towards a German-held strongpoint become bogged down and have to be destroyed. 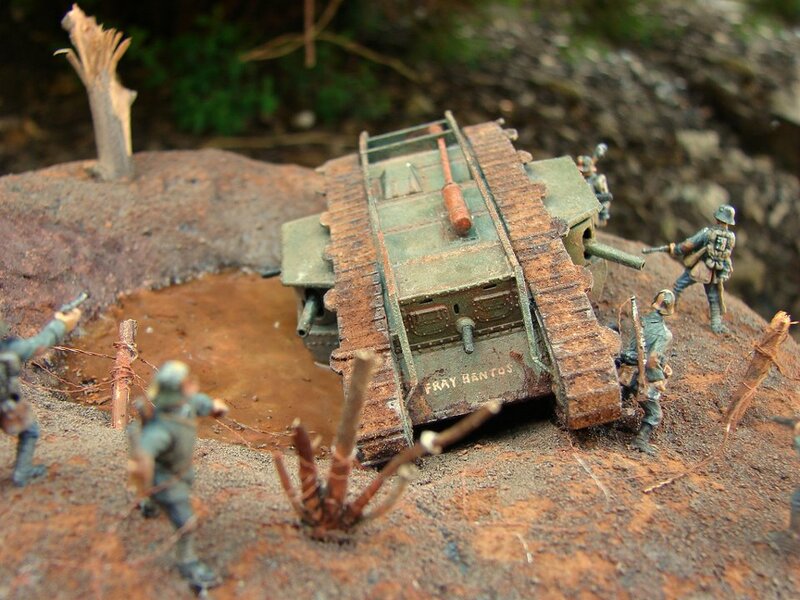 The last tank, nicknamed Fray Bentos after the tinned meat product, continues on but finds itself stuck in a shell crater after German bullets injure the driver. Under fire from the enemy, the tank’s occupants are unable extricate their vehicle. They are now trapped in No Man’s Land. As night falls Fray Bentos is besieged. German troops approach the vehicle and try to force their way in. For now the tank’s crew are able to repel the enemy but their future remains uncertain. They are too far ahead of their infantry to expect help from that quarter and any journey back to British lines would be one fraught with danger. Previous offensives on the Isonzo have seen mixed results for the Italians. This time though they are making great progress on the Bainsizza plateau near Gorizia. The Austro-Hungarians here appear unable to halt the onslaught. The Italians roll forward, capturing some 11,000 prisoners and many artillery pieces. The Austro-Hungarian crisis is so grave that Emperor Karl arrives today at the headquarters of Boroevic, the local commander. Boroevic’s instinct is always to defend every inch of ground to the last man and to stage desperate counterattacks to recover any ground lost. 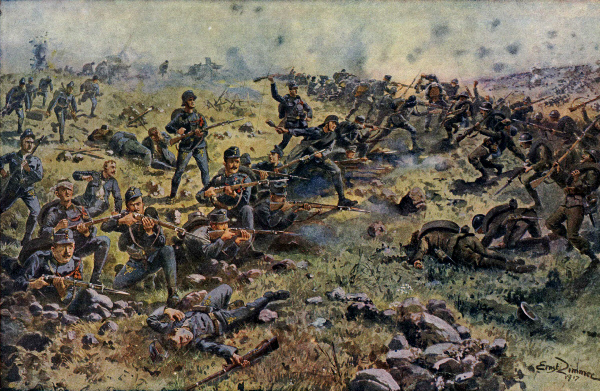 These tactics have contained previous Italian offensives, albeit at considerable cost to the Austro-Hungarians. However the risk now is that if this tactic is continued, the Austro-Hungarians on the Bainsizza will be wiped out, leaving the Italians a clear path into the heart of the Habsburg Empire. Karl prevails on Boroevic to change tactics. The Austro-Hungarians will retreat to more readily defensible positions. To sugar the pill, he promises Boroevic that the next battle will see the tables turned, with Austria-Hungary launching an offensive against the Italians.